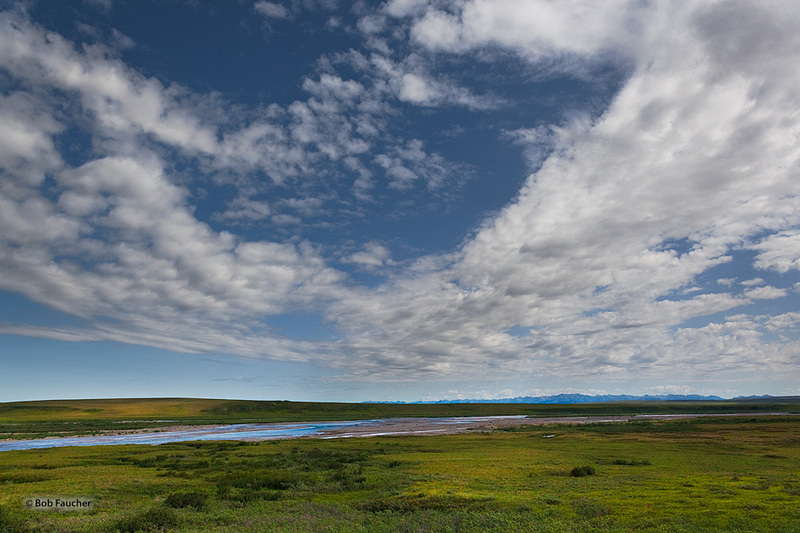 Toolik River is a fine example of a beaded tundra stream. Channels with regularly spaced deep and elliptical pools connected by narrow runs are a common form of many streams that drain Arctic permafrost foothills and lowlands. These channels are often referred to as "beaded" streams because during summer low flows, pools appear as beads-on-a-string. Photo © copyright by Robert Faucher.